Backed by a proficient team, we are able to manufacture and supply an optimum performing range of Bar Cutting Machines in varied technical specifications. Sturdily constructed, these machines are widely utilised in the construction sector. Finest quality raw material and components are employed in the fabrication of these bar cutting machines. Cutting edge technology is used to test and check flawlessness of our range of bar cutting machines. 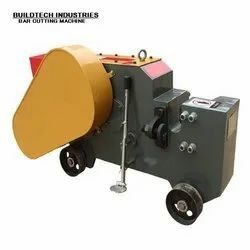 Product DescriptionWe are offering Bar Cutting Machine to our clients.That is,utilized for cutting and pruning of steel Bars. We are offering Rebar Cutting Machine to our clients. We are offering Bar Cutting Machine to our clients.That is,utilized for cutting and pruning of steel Bars. We are a credible name to offer Rebar Bar Cutting Machine is an ideal solution for installing guardrails during concrete decking operations. 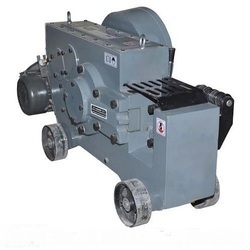 Machine Best Available Cast Steel Body, Small in size. Clutch system is provided for safety purpose. We are offering Steel Bar Cutting Machine to our clients.